Cava is a delicious drink, perfect for toasting those special occasions. And, for one of those moments, this case that includes a bottle of Juvé y Camps cava is the best idea. Surprise someone special! 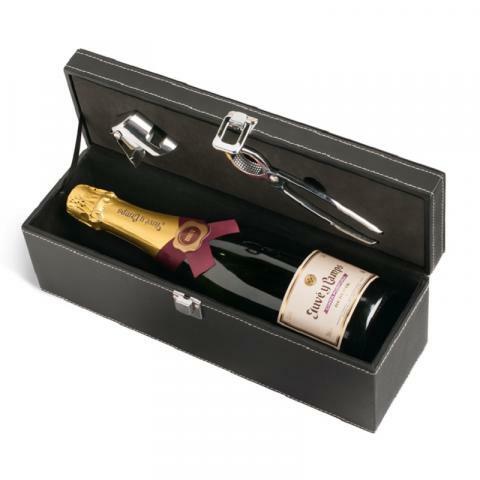 Show your appreciation for your Dad with our range of Father's Day gifts. We have a great selection of Father's Day favourites such as aftershave, toiletries, accessories and other great gift ideas for him. Father's Day only comes once a year and is a great chance to show your gratitude for everything your father has done for you. Dads are unfortunately quite difficult to buy for and finding the perfect gift is sometimes a struggle to do in time for the big day. Luckily we have everything you need easily available within a few clicks to make this year's event one to remember and seamless international delivery to help you get it to him on time. A well chosen Father's day gift for his day of appreciation can help you and your Dad feel closer by letting him know that you're thinking about him even from a distance. Being apart from your family and loved ones on special occasions is always difficult, and with the global travel becoming easier and easier, it is becoming more and more common for children to be separated from their fathers on Father's Day. Are you living in a different town, state, country or even continent to your dad? Don't let that get in the way of making sure that he feels appreciated this year with a special delivery that he won't be expecting, a carefully chosen Father's Day gift is almost guaranteed to leave him feeling loved and as close as ever. FloraQueen's international gift delivery service means that you can be there for him on the special day and send him a gift which will make him feel just like you are there to give him the hug that you both wish you could share. Don't let distance get in the way of showing your love and affection!